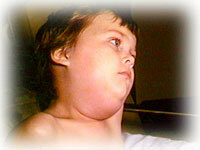 Mumps is a contagious disease caused by a virus. It is spread from an infected person through saliva. There is a vaccine to prevent mumps called the MMR which is the mumps vaccine combined with protection against measles and rubella. Where can I get vaccinated in Contra Costa? Pharmacies and grocery stores often have immunizations services. Check their websites for details.